Home, Office Building & Planning Barnet EN | Quality Property Care Ltd.
Don`t miss to use our expert sidential and commercial builders company! We can help you out with numerous jobs on a budget. There is no need to handle all of these remodelling and renovation job. Let our experienced technicians to deal with them effectively and fast. Call our consultants on 020 3746 4287 phone number and arrange the details for our budget-friendly professional commercial and domestic builders services now! The offer will be ready for a few days after the viewing. 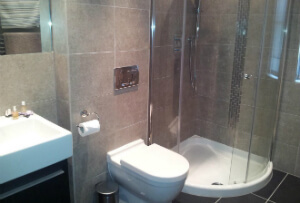 Primary estimation quotes can be given for certain services, such as bathroom refurbishment, but the company reserves the right to change it after the actual viewing. 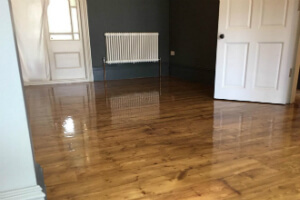 Quality Property Care Ltd. covers painting, decorating, kitchen refurbishment, kitchen renovation as well as general property refurbishment, tiling service, bathroom refurbishment, grouting, sealing ceramic, porcelain, mosaic, glass, quarry, marble, wallpapering, plastering, rendering and wall boarding, skimming, kitchen and bathroom fitting, flooring including engineered wood floor installation or laminate, decking. We also do electric, full electric re-wiring, lighting, alarms, office refurbishments and a lot more. We offer a full kitchen, basement and bathroom refurbishment and general property or home refurbishment along with business office refurbishment. In cases of end of client lease we handle the repair and replacement of suspended ceilings, replacement of wall finishes, the replacement of floor coverings, change of layout of entire floors including the removal & construction of partition walls. We can fully reconfigure lightning and all kind of electrics, as well as do full upgrade or refurbishment of any office bathrooms, washrooms or toilet cubicles. For the updating and modernizing of existing premises we can create conference & meeting facilities, canteens and tea points and staff areas, work with flooring, decorations and wall finishes and bring in new office furniture. Wallpapering process includes a wide range of things, like the proper estimation of how many rolls of wall paper are required to cover the square footage of walls. We also deal with removing any old wallpapers from the wall, lining walls with lining paper, measuring and cutting wallpapers, hanging said wallpapers on the wall, dealing with the creases around door frames, wallpapering behind radiators, wallpapering around internal and external corners, the wallpapering around window frames, dealing with light switches and sockets, and wallpapering around staircases. In the service we include plastering, wall boarding, rendering. If you are going to use professional commercial and domestic builders services in Barnet EN, make sure it worth it. Basement renovation, bathroom renovation, kitchen renovation or any other home or commercial room renovation requires proper technicians, who you can really rely on. Quality Property Care Ltd. can boast with the best planning and building team that will meet all of your requirements and instructions with attention and individual approach. All the technicians are vetted and insured, so in case of any damages or omissions, we will cover the damages. This is a very rare situation, though. We receive 96% positive feedback. And all of the technicians are educated, well-trained and preliminary prepared in their refurbishment and builders fields. Book Quality Property Care Ltd. Builders Call for Special Prices! With our customer support and a dedicated team we can guarantee a hassle free experience regardless the size of your project, we accommodate them all. Make your dream remodel come true, call 020 3746 4287 for the best professional builders service in Barnet EN. Fully insured, certified and trained our team is capable of making your vision into a reality, regardless if home or office refurbishment, we can do it all.